The development team of Everhood consists of me(Chris) and Jordi. Jordi handles programming for Everhood but he is also very flexible in other areas such as art and design. I am handling art, design and some audio for Everhood. Basically, Jordi handles all logic and decides what technological approach we take while I take care of most content. I am not working 100% of my time on this project. The reason is that I am working in a full-time job as an artist in Mojang, makers of Minecraft. So during my spare time, I venture home and continue on this side project. Jordi is working at the moment approximately 50%-70% on this project but he is also experimenting on other areas. Before me(Chris) and Jordi started working on Everhood. Jordi was working with a mobile game solo-developing it. He had already launched a few games on PlayStore. I saw one of his projects and messaged him that I really liked what he was doing and maybe at some point, we could collaborate. He answered that he would be interested to do so but would want to finish what he had been working on right now. A few months later, I listened to some Final Fantasy music at work and got super inspired to make a JRPG. So I impulse wrote on Twitter that I would love to make a JRPG at some point and I began to post tons of art styles I have worked with earlier. I got a lot of replies which I am very thankful that people wanted to make games with me, it's like one of my childhood dreams. When I started talking to people about what it would require, I quickly noticed that to make something in the level of a JRPG like I wanted it would take years and most likely even more people, which just escalates how incredibly hard it is to make. Why I wanted to make a JRPG in the first place was to make a game that I felt passioned to work with, where I had a lot of creative control without having to worry about what the consumer wanted. Which sounds like an excellent way to kill business to make money. Jordi replied to the twitter message saying that he finally had time and would love to possibly explore making a JRPG, furthermore, we started talking about what kind of expertise and what we could bring to the table. During our conversations Jordi started prototyping mobile games, games that had a simplicity and was totally manageable to make for a two people team, It was awesome to see such drive, making prototypes like this takes a lot of time. The only problem was that these games had already been made by big companies. We will always be just a cheaper game unless we really put in 100% effort. Leaving our jobs and focusing only on that, is always very risky, we will be dependent on the fact that it will be a financially successful game. Jordi pitched probably 5-6 different games/game mechanics and at the end, we came to the same conclusion, that it was not worth the effort. So during one evening, I made a short video trying to describe the gameplay. Song does not belong to us. 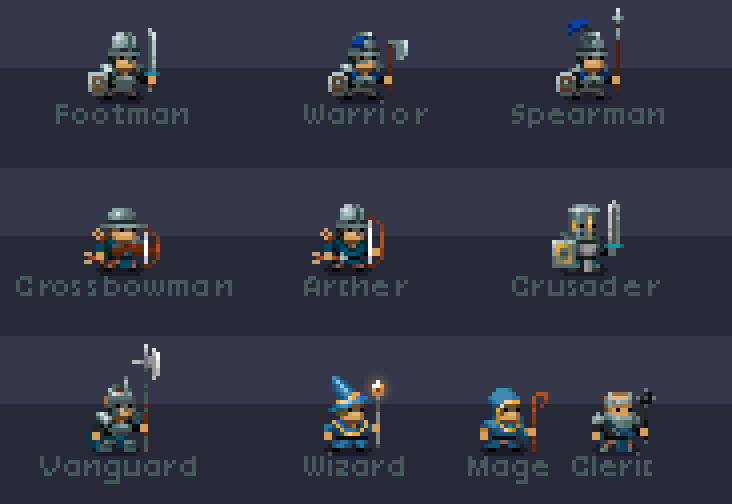 Jordi liked the idea and started looking for tools to make this a reality, on my side I started to make game assets, mockups and different art-styles to see what would go the fastest. Here was a test of making the battles in a 3D environment, we knew one battle would take place in a night club. The idea is not unique, but it could become something really cool and it gets me excited to work on this. I also want to mention that Undertale has been a big inspiration for how I want to make future JRPG's, from my point of view, it has influenced the whole topdown controllers and more. I jokingly usually say that I hate Undertale because it truly showed me that a game with bad art can be so good, so I wanted to make it in a similar way and keep it consistent, by just focusing on the most important details and not polish every corner. The art should always have a purpose and it should be done fast, for Everhood anyway. 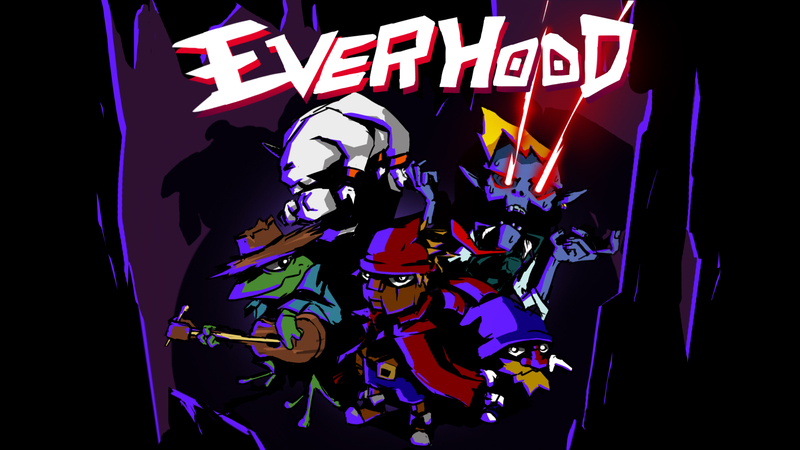 I first tried to really make Everhood look bad but consistent, I have been told that the game really does not look that bad, which in a strange way saddens me a bit. But it also reminds me that we are not trying to remake the experience of Undertale, we will make the experience of Everhood. I have also purposely try to have similar themes to Undertale, mainly so people will recognize it and potentially get into it. For me, Undertale was a big fresh air of the old-school JRPG pixel era and I would like to continue exploring this area. We have set a fairly ambitious goal as to how we imagine that Everhood could begin and end. But we are free to change that at any time. In game development, it's common to say that usually only an amount of percent of what you wanted to get in actually gets into the game. For the vertical slice, we got in all the 100% mainly because we designed the story on the fly similar how Hayao Miyazaki is known to direct his movies, without a proper ending. We looked at the tools we had available and designed accordingly. We wanted to see if players would find this experience fun, it has been a very enjoyable way to work. But moving to a longer experience will be more difficult and I have some final points that I want to address, but this can certainly be extended to more. A designer usually changes tons of things during production. It is therefore advantageous to have flexible systems. But doing the full game code (Jordi) needs to know what to expect, otherwise, we might encounter more bugs.